Cervical Laminoplasty is a surgical procedure that reshapes or repositions bone in order to relieve stress on the spinal nerves in the cervical section of the spine. Lamina is the roof of bone over the back of spinal cord and plastos means to mold. 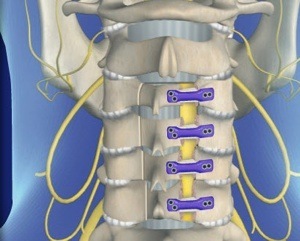 It is different from a laminectomy because the lamina isn’t removed, but repositioned or reshaped. Small wedges made of the bone are placed in the open gap. 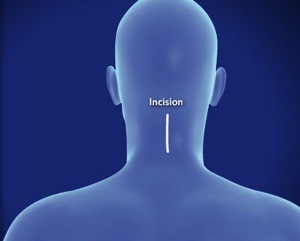 The bone “door” is then closed by the surgeon. The wedges prevent it from closing completely. Spinal cord and the root nerves rest comfortably. Returning to work depends on how quickly the patient’s body heals and the type of work the patient plans to return to.